Well ladies...it's that time of the year again! Time for my second annual Christmas Ornament Exchange! Can you believe it? Christmas is less than eight weeks away! I can hardly believe this year has flown by so quickly. Just like last year, I decided to host this early, so you can get your ornaments well before Christmas. I don't know about you, but I decorate early....usually during the week I am off for Thanksgiving. I decorate so much and like to have a few weeks to enjoy gazing at it all. I'm especially excited to decorate this year since the hubby and I renovated our living and dining rooms. No big rules....just don't spend over $15. Your ornament can be purchased or handmade by you. It's up to you...:) You can send additional items if you wish, just remember it is not required so don't feel pressured to send extra items or disappointed if you only receive an ornament. I think an ornament and a nice hand-written note is sufficient, but I know some of us just love shopping for or crafting items for others, so you may choose to include an additional item or two. It is entirely up to you...:) Also, you will make two new friends since you will send to one person and receive your package from an entirely different person! Also, please let me know in your comment if you would be willing to send to someone out of the country. I have a few blog friends from other countries whom I want to be able to participate if they wish. I personally don't mind shipping to another country! 1. Sign-up will run today through Saturday, November 8th. To sign up you just need to leave me a comment! I will contact you after I get your comment and you can then send me your name and address. Please make sure you are not a no-reply blogger. I won't be able to e-mail you if that is the case. 2. I will announce your partners by Sunday, November 9th. 3. 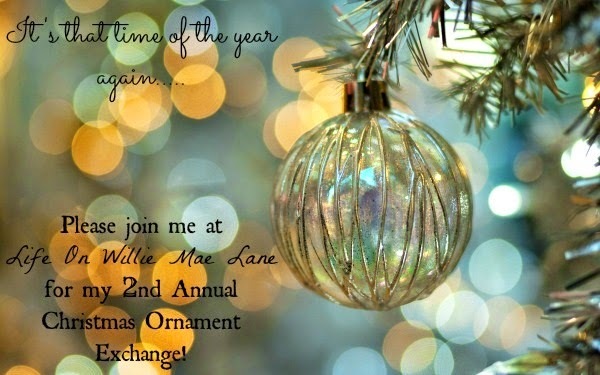 Purchase (new or vintage) or make an ornament (spending limit is $15). 4. 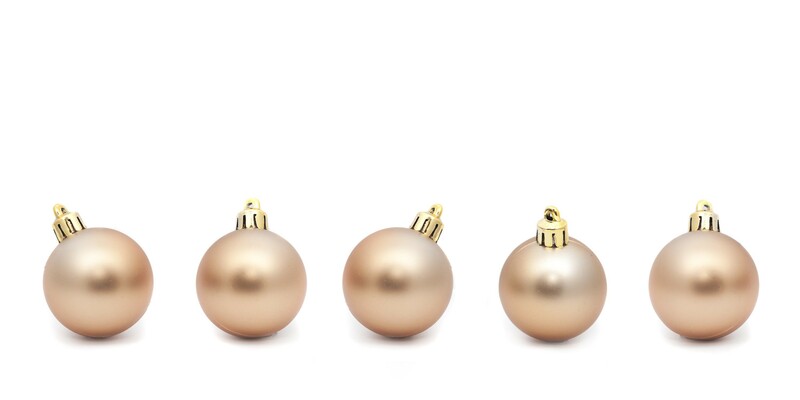 Ship your ornament by November 20th. 5. I will have a link-up on my blog on or by December 13th so you can show off your new ornament from your new friend! I was so blessed by last year's exchange and am excited to host again this year. I do hope you'll participate again and pass the word along to any other bloggers whom you feel would enjoy participating. YAY! I am the first one. Yes, I do want to participate. Yes, I will share it on my blog posts. Yes, I will ship to another country. Yes, I am so excited. My first thought when I read this was, "oh, no, do I feel up to it?" Then, I decided it was the kick in the behind I need. Even if I am not fully up and running, I can certainly make an ornament or two. So, count me in. I am trying to catch up, but I only got this read so I hope to get back to see what's up with you. Yes, count me in too! Yay! I had a fun time last year with the exchange so I'm in again this year. Count me on your exchange please! Looks like great fun. Hi Vicky, I had so much fun with last year's ornament exchange. You can count me in and looking forward to it this year! Of course I want to join, my friend. I had so much fun last year and even have a couple of the ornaments from Tuula hanging in my craft room. This year I would like to keep it in the USA for me (sorry about that). Thanks for hosting, sweet Vicky! I can't wait! And I will mention it on my blog. Yes, yes, yes!! I want to do this again. It was great fun last year and I can't wait to participate again! I would love to participate Vicky! I am a Canadian but no worries with shipping to the US! Looking forward to my first! Cheers. This sounds like everyone had a fun time last year so count me in!!! HI Vicky...I'd like to join the fun! I came over from Tuula's. This sounds like fun. I'd love to participate! Count me in! It sounds like fun! Hi Vicky! Please count me in, I would love to do this! I don't mind shipping international. This is my first time visiting but I would love to join you! I have two main blogs: Christmas Tree Lane and Our Wonderful Life. Anyway, sign me up! I have just been reading 'darling stephanies' blog and found out about your christmas ornament exchange. It would be so lovely if I could participate in this as it sounds really delightful. Would be more than happy to post overseas as I am in Australia. Now I am off to read more of your blog. Hi...I would be more than happy for you to join the fun, but you showed up as a no-reply blogger which means I can't e-mail you back. If you would, please e-mail me at vickyhunt0605@gmail.com. I look forward to hearing from you! I have never done a swap on the blogs- would like to be included. Thanks Vicky!! Sorry...I did not see this before I had already partnered everyone. You showed up as a no-reply commenter and were not in my primary e-mail folder. I could not reposnd by e-mail. So sorry...maybe next year. Is it to late to sign up for the exchange? If not I would love to do this! I have an older daughter who would also love too! Ill be waiting to hear from you. My daughter and I would like to do an overseas people if that is possible. If not that's fine. Thanks soooo much! So sorry, but it is too late to sign up. I have already contacted everyone with their partner names. You showed up as a no-reply commenter and were not in my primary e-mail folder soI could not respond by e-mail. So sorry...maybe next year.